Collegiate Learning Assessment (CLA): A Rationale for Honors? In a previous article, we wrote about philanthropist Bill Gates and his ideas regarding hybrid college courses that combine “superstar” faculty videos with classroom discussion groups. The Gates Foundation is also associated with the Council for Assistance to Education, which has developed the Collegiate Learning Assessment test used by some universities. Gates has said that he does not want universities to turn into vocational institutions, and he has maintained that students need to develop broader skills, especially the critical thinking and writing skills measured by the CLA test, not only for the students’ own benefit but for the benefit of employers and society functioning in a world where vocational training becomes outdated so quickly. Honors curricula for decades have emphasized critical thinking and writing skills as a central component. The writing requirements for almost all honors students are significantly more demanding than those for non-honors students, and the curricula develop critical thinking by engaging students in texts, research, and projects that demand sophisticated, in-depth analysis. The CLA test is used to compare the skills of entering students with those of graduating seniors in a given institution. The results of the test provide part of the statistical basis for the 2011 book Academically Adrift, which argued that students in American universities learn relatively little during their time in college and, moreover, do not work very hard in the process. Critics of higher education, especially of public higher education, cite the book as evidence that universities over-emphasize research at the expense of undergraduate instruction and as confirmation that too many of the students now entering college are not sufficiently motivated or prepared to be there in the first place. That argument aside, Academically Adrift and a more recent and detailed study by the CAE itself show that students in certain major areas do better than those in others. For example, students majoring in science or the humanities score the highest in improving the critical skills between the time they enter a university and the time they graduate. Business, education, and engineering majors do not show as much improvement. Although some honors programs have a lot of engineering and business students, in general the focus is on the arts and sciences. Under siege by reformers for not being vocational enough, the humanities and social sciences, as well as the natural and physical sciences, can now stake a claim to being leaders in developing “higher order” thinking. The longstanding honors role in teaching to this end is generally accepted; but there are other roles, less noticed by the general public, that honors education has promoted critical skills in their universities as a whole. Allowing non-honors students to enroll in some honors classes is a common practice, and of course all honors students take classes that are not directly a part of the honors curricula. While it may cost more to educate an honors student than it does to teach non-honors students, the need for critical thinking skills is emerging as a priority. 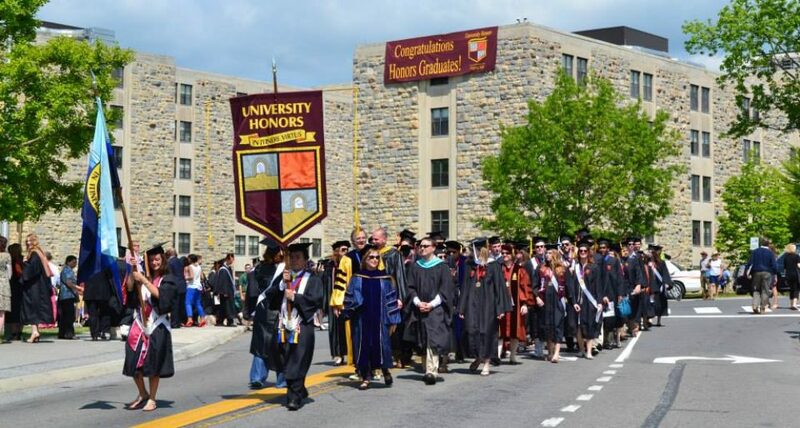 Even gradual increases in the enrollment of honors students could, in the long run, be one of the best investments a university can make in its own future and the future of all its graduates.